From the internationally bestselling author of The Vegetarian, a “rare and astonishing” (The Observer) portrait of political unrest and the universal struggle for justice. The story of this tragic episode unfolds in a sequence of interconnected chapters as the victims and the bereaved encounter suppression, denial, and the echoing agony of the massacre. 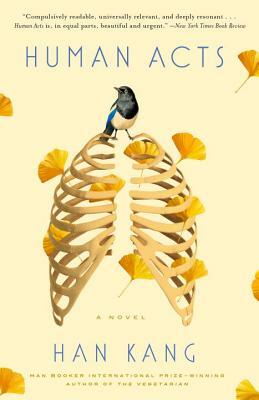 From Dong-ho’s best friend who meets his own fateful end; to an editor struggling against censorship; to a prisoner and a factory worker, each suffering from traumatic memories; and to Dong-ho's own grief-stricken mother; and through their collective heartbreak and acts of hope is the tale of a brutalized people in search of a voice.